You are currently browsing the tag archive for the ‘hard of hearing’ tag. Many students struggle with learning to read. Many also learn to read despite poor teaching as more and more schools leave out phonics and reading fundamentals. Students who do well regardless of teaching seem to pick up on these basics naturally. They may not understand what they are doing completely, but the students sense these elements and use them to recognize words and meanings. Other students with and without learning difficulties may not fully sense these factors, and it hinders their reading development. What is needed is a a program that teaches reading basics well and in a multi-sensory method allowing it to be more beneficial for all types of students. One such program was sent to me a few months ago to review. I have been using it with several students since then with great success. One student is a five year old beginning reader. This student is fairly average in all ways except amazing cuteness. Another is a high schooler with learning disabilities including dyslexia who continues to struggle with reading. One is blind and hard of hearing and is nine. Two others are six and seven and have some mild learning issues. The program is Reading Horizons: Discovery. There is an online version. I won’t be reviewing it due to accessibility issues because I am DeafBlind. 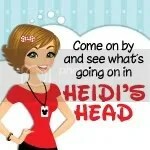 The website listed below has a page that lists reviews for their products from independent bloggers like myself. You can check out the other reviews for this program and the online program, too. The introduction to Reading Horizons Discovery states, “Reading Horizons Discovery is an explicit, systematic, research-based phonics program based on the Reading Horizons method. Multi-sensory techniques are employed via direct instruction and the use of interactive computer software programs. The manuals and computer software are correlated to support each other, but each can be used independently of the other for instructional purposes. All students can benefit from using the explicit, sequential, direct instruction the Reading Horizons method has to offer.” The program is ideally suited for students with learning disabilities including those with dyslexia, but it is also very beneficial to all students because of its multi-sensory techniques and methods that integrates not only phonics, but also basic language arts skills. In addition, vocabulary development and spelling are integral parts of the program. Providing posters, worksheets, software, online support, Reading Horizons’ method, in a nutshell attempt, involves using hand directions to dictate a letter, sound, or word, use hand directions to receive that letter, sound, or word repeated by the student. The letters, sounds, or words are dictated twice and the students repeat twice. The students will then write the letter, sound, or word once. These aspects helped the student to learn to focus and prepare to listen carefully. Another aspect of the method, is the markings and slide which are taught early on and used throughout the program. The program teaches 42 sounds of the alphabet. The vowel “a” is taught first. The consonant “b” is next. The slide is then introduced to teach, emphasize, and remind students to slide from the consonant to the vowel sound smoothly developing fluid pronunciation from the beginning. In word decoding as the students progress, students learn to mark the vowel first. Then slide through pronunciation of the consonant and vowels before adding the ending sound. The program teaches not only phonics, but also phonological awareness besides just phonemes, all of which is imperative for developing good reading skills for all students including dyslexics. The well-designed program of Reading Horizons ensures that these skills are not only learned, but mastered. The thorough teacher’s manual including complete, scripted lesson plans helps the busy teacher with lots of Reading experience and the less experienced teacher in the classroom or home. 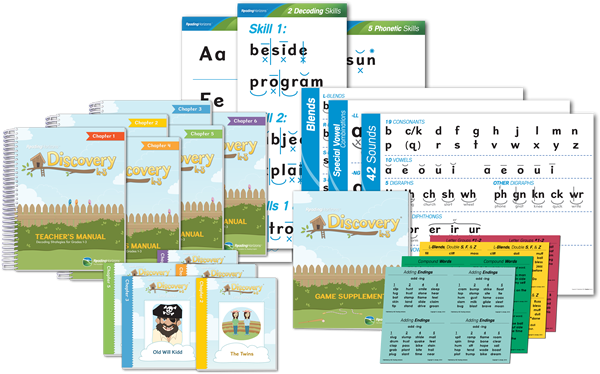 Reading Horizons Discovery program is suitable for many types of students because it is multi-sensory and that phonics and phonological awareness are emphasized. What about other Special Needs besides Learning Disabled or developmentally delayed, for example? In my case, that question would be, “is it Deaf, Blind, and DeafBlind suitable?” Obviously, there are some that the program or any program based on auditory alone or visual alone would not work. With modifications, it could work for those who are hard of hearing, hearing blind, low vision, and DeafBlind who have some residual sight and hearing. As always, if you wish to try this program with these populations, you must focus on modifying the material and the methods emphasizing the primary mode of communication. Use ASL or a visual communication mode to go along with the hand motions of the program to ensure that the student understands the letters and words being taught. For low vision students, use larger print. For braille users after tactile readiness has been developed, you might think that there is no point, but many braille courses for young learners puts little focus on phonics or phonological awareness. Braille is still reading, but recognizing letters and words by feel, so the need for phonics and phonological awareness is still there and should be emphasized more to improve reading skills. Also, homeschoolers, who are an audience of my blog, often find that braille curriculum is too expensive for them and their blind students to use. Therefore, it is often necessary to modify regular programs for braille learners. Using the auditory cues of dictate and repeat either with or without tactile hand motions (DeafBlind, especially need), the student will still be taught to focus and prepare to listen carefully. Marking can be done verbally to note aspects such as finding and identifying the vowel sound first as can “slide” where the vocal or tactile motions are the reminder for the steps to help the students decode the words they feeling with their fingers. For those with less sight and hearing, we were using these signals both verbally and with hand motions that the student could feel with their hands as we spoke the reminders. At first, you would think this must be frivolous additions, but we have been finding these techniques are useful for helping students decode regardless of their learning issue. It was an easy task, too, understanding what the markings and motions were intended for to modify the techniques as needed while working with our students who have varying degrees of hearing and vision loss. For those who use less speech, their comprehension was occasionally gauged more on their signs and fingerspelling, though most had some ability to speak and/or receiving speech therapy time. Even the braille learner used the techniques while reading with fingers. We did the steps after the student read the individual letters first and indicated what the letter was. Then used the steps to indicate what the sounds were followed by using a motion of the hand forward to indicate the slide (the word “slide” was also spoken) as the slide of the sounds (ex. fa) was then pronounced verbally. As with anything, some of our initial modifications were cumbersome or ineffective, but we recognized that the system can be useful if we are thoughtful of the purposes of the techniques and adjust as needed. The best educational research always goes on in the grassroots of the individual classroom. This has been a description of Reading Horizons Discovery in a nutshell. There is no way to cover it well here or cover the many types of students and how the program can be modified to help these special populations. I also know that there is no one program, text-based or software, that is suitable for all students. I can say that Reading Horizons Discovery does work for those I am working with and can for many others. As in my own case, I always have to be creative when using some product, but it is often worth the effort. Reading Horizons Discovery was worth the effort for me and several of my students. To learn more about Reading Horizons Discovery program, go to http://www.readinghorizons.com.